Chis is a professional in all regards. 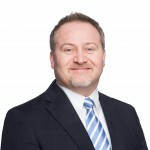 He is very knowledgable and experienced in the Edmonton market and has a complete understanding of all aspects of a transaction. He treats his clients with the utmost respect and dedication to ensure he exceeds every expectation. He promptly replies to all messages and communication and goes above and beyond to meet the needs of the client. I highly recommend Chris to anyone looking for assistance in the housing market.